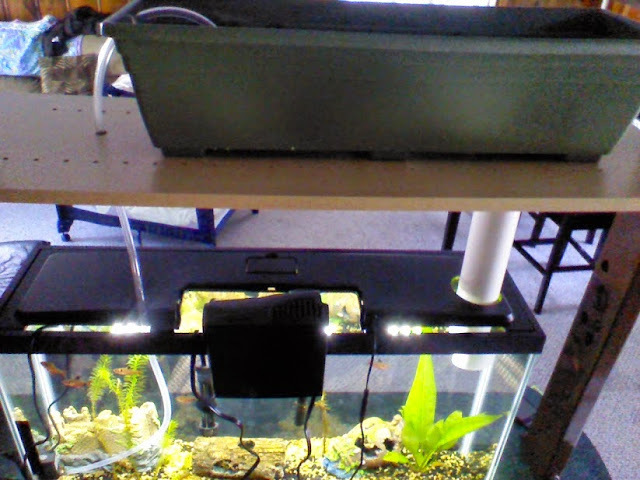 I have created aquaponic system and tried to plant tomatoes, cucumbers and some other herbs. They sprout without problem but after couple of days they dried out. I tried it 2 times with the same result. The water circulates 15 min every hour. I'm not using siphon setup but water flow one. At the bottom I have a gravel to filter it and at the top I use clay pellets in which I seeded the seeds. The white drain pipe goes up to where the clay pellets and the gravel meets. So the seeds are not constantly in the water but absorb the moisture from the pellets. Any idea how to make it work? I'm planning to give up and just to plant some flowers meant for ponds. I had the same system with the same result as yours; my lettuce seeds germinated but later all the plants wilted. My suggestion, and what I have done in my system, is just let the grow-bed "mature" -- let the water cycle for a week. 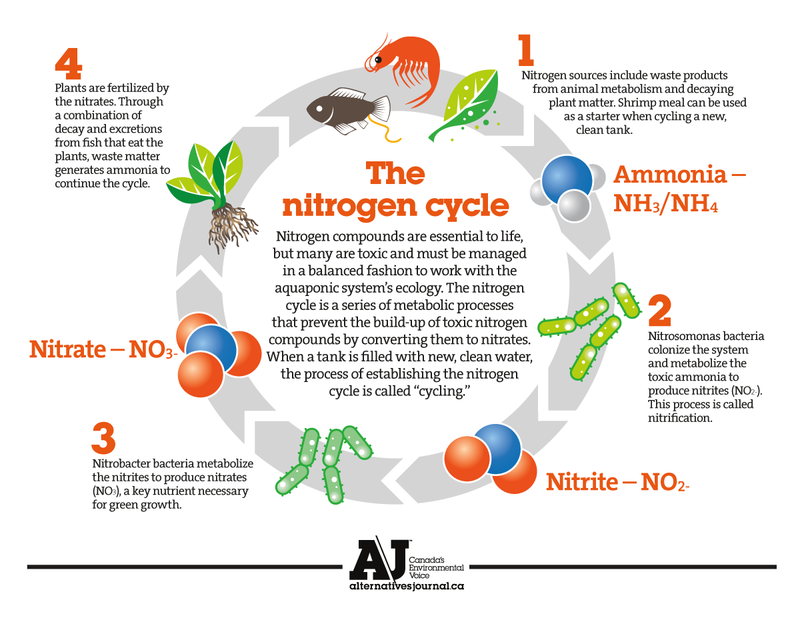 The reason might be that the water may not have enough nutrients for it to grow and support plants. Try cycling, continually flooding and draining, or just let water flow continuously to your grow-bed for few days. By doing it, your grow bed will be colonized with different bacteria (and micro-fauna when the system is older) that are responsible for the conversion of fish waste. As they consume the fish waste they turn it into nutrients that the plants need to thrive. If your system does not flood and drain somehow, it is to be expected that the plants will dry out. Without the flood and drain, the plants will have a hard time getting their roots all the way to the water. Use a timer on the pump and use a standard 2-outlet setup like in a hydro tray. One short stand pipe to set a low water level and a second taller stand pipe to set a high water level. The low level should be at most 1 " above the floor of the grow tray. Make the high level about 1-2 inches below the surface of your media. The pump is on for 5-10 minutes then off for 5-10 minutes. Use a standard bell siphon (check out Affnan's site for the industry standard). The siphon can take some serious fidgeting to get working properly but once its going, it is a lovely piece of tech. The autosiphon design will automatically drain your plant bed of water automatically once it hits a certain level and then automatically shut off once the bed is empty. We use the bell siphon for our media beds every time. They take extra fine tuning but the benefits are totally worth it.